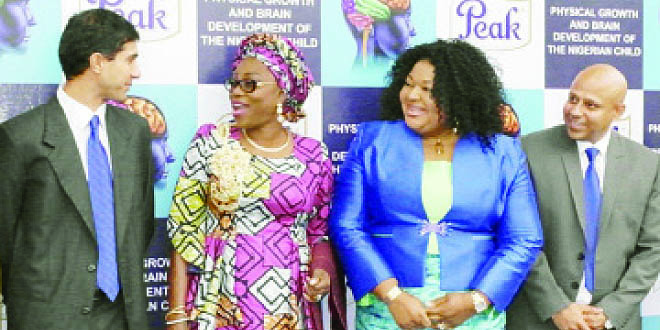 FrieslandCampina WAMCO Nigeria PLC held its 10th annual nutrition seminar tagged “Physical Growth and Brain Development of the Nigerian Child: The Challenge of Our Time” on Friday, August 21, 2015 in Lagos. Key speakers at the seminar were renowned Professor of Pediatrics and President Pediatrics Association of Nigeria Prof Adebiyi Olowu; and Dr Anne Schaafsma, Senior Scientist, Global Nutrition Development, Friesland Campina Innovation Centre, The Netherlands. The speakers presented research papers on the importance of nutrition for the optimum brain development of a child. According to them, brain development and mental health of a child is essential and it should never be neAglected. The first five years of development of a child is crucial and represents the period the child significantly needs essential nutrients that support overall brain development, especially Docosahexaenoic acid (DHA). Significantly, the speakers noted that children whose diet lack important fatty acids like Docosahexaenoic acid (DHA) have been found to be at risk of attention deficit hyperactivity disorder, unipolar depression and aggressive hostility. When infants are fed the appropriate food essentials, they become smarter, faster and happier. As a pointer, the resource persons reiterated that improved health and nutrition will lead to enhanced economic development. The 10th Nutrition Seminar held across key cities, including: Ibadan, Abuja, Port Harcourt, Enugu and now Lagos, reinforced the importance of public private partnership in responding to key national issues, particularly in the nutritional development of the Nigerian child. 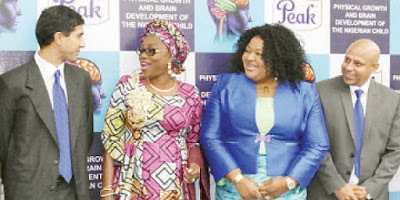 FrieslandCampina WAMCO Nigeria PLC will continue to partner with key stakeholders to help reduce incidences of malnutrition among women and children in Nigeria.